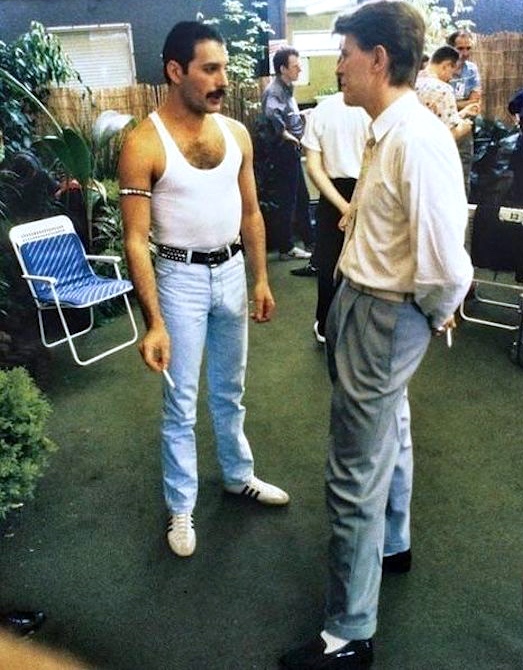 The two of them together at the 1985 Live Aid event, Bowie in loose-fitting trousers, Mercury in tight jeans with a stand-out moose knuckle. 3 copulation 1984b Partridge [dict.] 4 An act of masturbation 1984 C. White Life and Times of Little Richard 128: I haven’t had my morning jack yet! Background 3, Brexit. It’s just there. You don’t need me to explain it, if I could. He was born in 1946 in Zanzibar to Parsi parents from India. He attended English-style boarding schools in India from the age of eight, and returned to Zanzibar after secondary school. In 1964, his family fled the Zanzibar Revolution, moving to Middlesex, England. Having studied and written music for years, he formed Queen in 1970 with guitarist Brian May and drummer Roger Taylor. 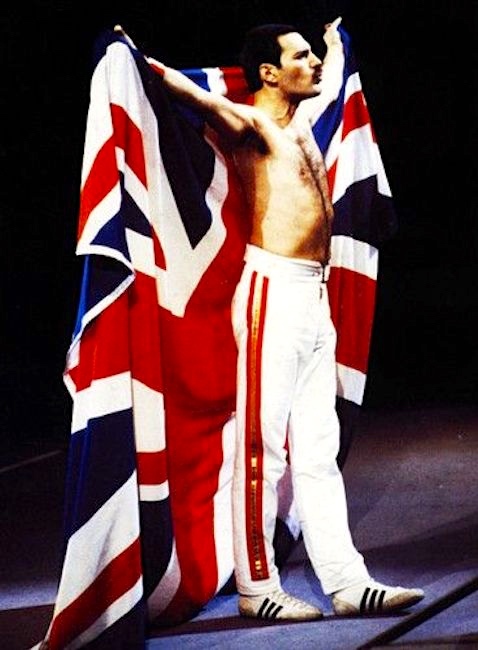 Mercury wrote numerous hits for Queen, including “Bohemian Rhapsody”, “Killer Queen”, “Somebody to Love”, “Don’t Stop Me Now”, “Crazy Little Thing Called Love”, and “We Are the Champions”. He also led a solo career and served as a producer and guest musician for other artists. 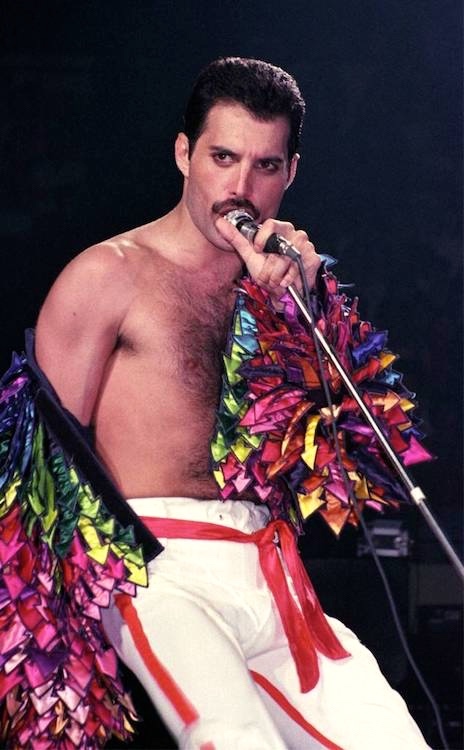 Mercury died in 1991 at age 45 due to complications from AIDS. 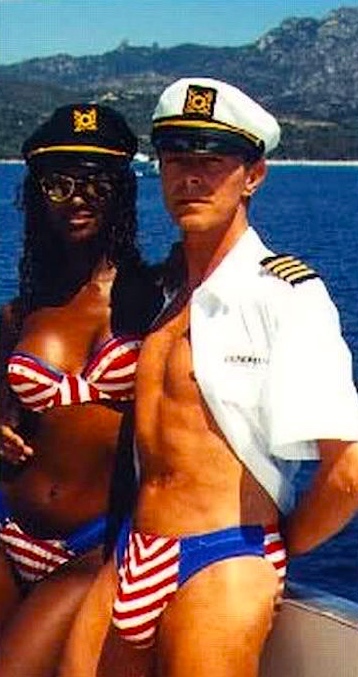 David Robert Jones (8 January 1947 – 10 January 2016), known professionally as David Bowie, was an English singer, songwriter and actor. He was a leading figure in the music industry and is considered one of the most influential musicians of the 20th century, acclaimed by critics and musicians, particularly for his innovative work during the 1970s. His career was marked by reinvention and visual presentation, with his music and stagecraft having a significant impact on popular music. This entry was posted on March 17, 2019 at 9:21 pm and is filed under Flags, Gender and sexuality, Language and the body, Music, Phallicity, Slang. You can follow any responses to this entry through the RSS 2.0 feed. You can leave a response, or trackback from your own site.